Medtel’s latest innovation, “INSIGHTS,” anticipates the clinical and financial risks of surgical care before any surgery takes place. Hospital leadership is now able to predict and shape behavior prior to surgery to produce the best outcome in the most cost-effective manner. 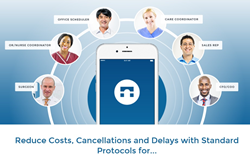 The Medtel INSIGHTS module shifts risk and burden away from the hospital. Medtel announces the latest upgrade to its software platform, closing the implant gap in value-based care. As discussed in the July 2016 issue of the South Florida Hospital News publication for healthcare professionals and physicians, “Medtel, Providing Best-in-Class Surgical Care and Avoiding Unnecessary Spending,” Medtel maximizes efficiency and quality while minimizing costs. Since 2013, Medtel has been helping hospitals succeed under the bundled payments model by enabling higher contribution margins amidst a high standard of care. Dr. Richard Iorio, the William and Susan Jaffe Professor of Orthopaedic Surgery and Chief of the Division of Adult Reconstructive Surgery, explains: “‘Pay-for-Performance’ reimbursement is a key concept in the healthcare quality movement today. The goal is to improve healthcare safety, outcomes, and value by tying provider payment to quality performance. The system has moved from fee-for-service to fee-for-value.” The challenge, however, is in understanding how to measure quality. Medtel does precisely that-assess the quality of care. Medtel is easy to use, and it provides reliable and repeatable clinical data, identifies risk at the earliest opportunity, pinpoints operational inefficiencies, and controls costs while systematically achieving value-based reimbursement. The “INSIGHTS” tool, available from within the Medtel dashboard, provides a proactive analytical overview of surgical requests allowing leadership to effectively manage costs before the surgery. INSIGHTS has the flexibility to apply business rules to monitor implants and ancillary products that lead to added expenses but do not enhance the surgical outcome. Leadership uses this powerful tool to determine contribution margins prior to the surgical event. Medtel is a technology company that develops communication and logistics software for hospitals. Its cloud-based system is designed to improve the efficiency of surgical procedures. The platform uses analytics to manage clinical and financial risks. For more information about Medtel, visit http://www.medtel.com.